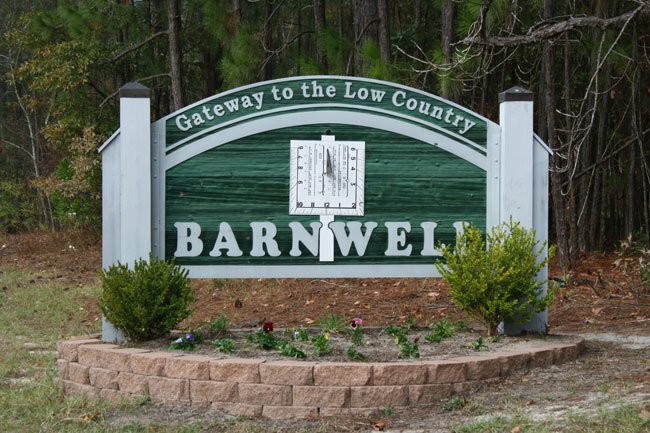 Located at the junction of US 278 and SC 64, the City of Barnwell straddles the South Carolina regional divide between Midlands and Lowcountry. People began to settle here in the early 1800s and Barnwell was called “Red Hill” until it was incorporated in 1829. Back then, the town’s limits radiated just a three-quarters of a mile from the Barnwell County Courthouse, which is still considered the heart of the city. The sign above sports a miniature replica of Barnwell’s famous sundial. The actual sundial is located in front of the county courthouse on Main Street. It was a gift to the city in 1858 from state senator J.D. Allen. The sundial is one-of-a-kind and still keeps nearly perfect time after all these years. I was the Barnwell Hospital and Nursing Home CEO in late 1970s. My family and I lived on the hospital grounds in a dormitory which on one end was our home and on the other end two nurses lived. The hospital eventually closed as regional hospitals expanded. Photos are great. We’re so glad that you enjoyed them! They are wonderful pictures, and SCIWAY is always so grateful when people share their photos with us. I love these pics. I have known Melissa and Jayme for several years. I didn’t know they took such lovely pics!